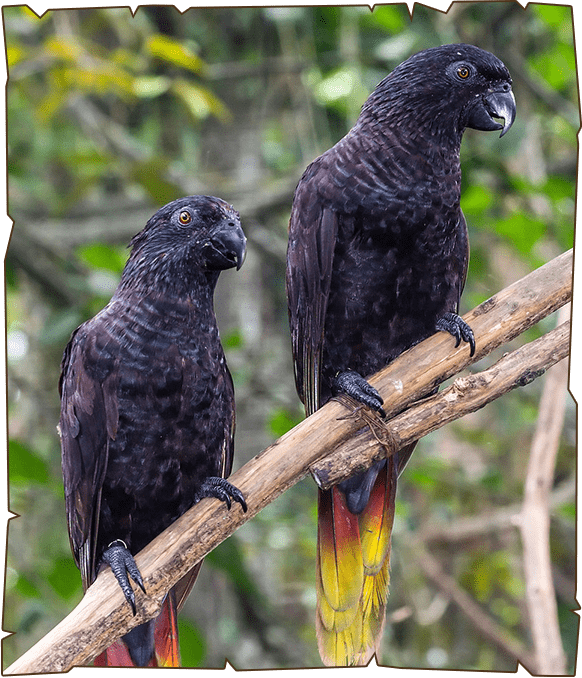 The Black Lory is endemic to Indonesia, inhabiting open habitat and lowland forests of Western New Guinea and surrounding islands. They are distributed in open habitat and lowland forests of Western New Guinea and surrounding islands. There are two distinct population of the Black Lory. The eastern bird population Chalcopsitta atra insignis have reddish face, shoulder, thigh and underwings while the western population and nominate form Chalcopsitta atra atra of West Papua are mainly black.